Dear reader, we hope that this presentation about the endocannabinoid system (ECS), cannabinoids and receptors, can help you to understand more the real potencial of this new chemical entity, CBD. The human body possesses an endocannabinoid system. 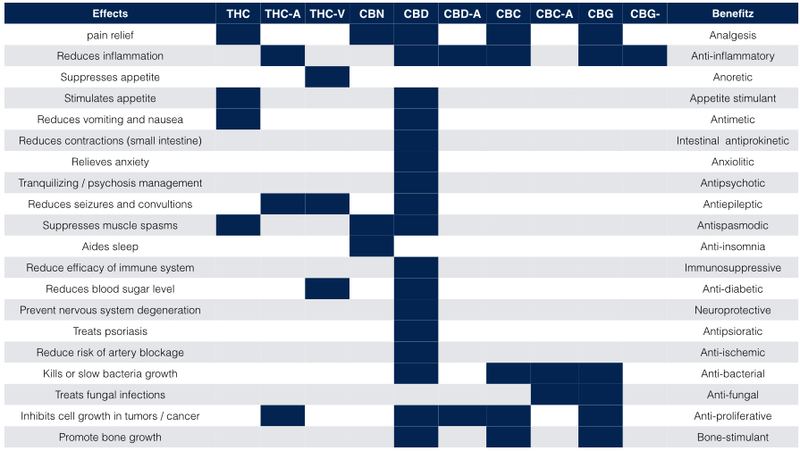 The recent identification of cannabinoid receptors has invited a large increase in system study endocannnabinoid and its regulatory functions in health and disease. This system is implicated in an increasing number of physiological functions in both the central and peripheral nervous system, both in peripheral organs. 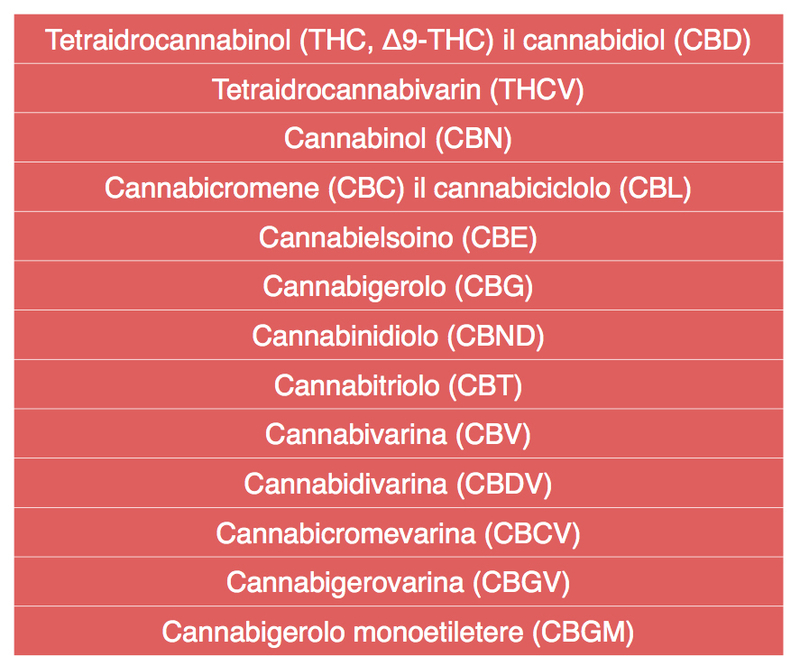 Today there are 88 clinical trials based on cannabinoids world wide (www.clinicaltrials.gov). A molecule is defined antagonist when, even washing relatively to a receptor, does not activate it, that is, blocks the transduction of the signal. The antagonists are equipped with affinity for the receptor, but are devoid of intrinsic efficacy, are not able by themselves to cause measurable effects. Agonist a substance capable of binding a specific receptor in the binding site for the endogenous ligand. This raises in competition with the latter for binding to that site. Agonists are molecules with intrinsic activity can mimic the effects of the ligand. When they bind to the receptor, causing conformational changes of a similar magnitude to those caused by binding to the endogenous ligand. In biochemistry, a receptor is a protein, the transmembrane or intracellular, that binds with a specific factor, defined ligand, causing a conformational change in the receptor with the result that there is the onset of a cellular response or a biological effect. 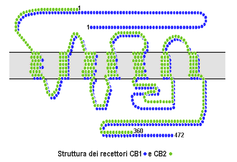 Cannabinoid receptors are a class of receptors of the family of receptors coupled to the protein G. The stimulation of cannabinoid receptors inhibits the enzyme adenylate cyclase, and thus the production of AMP (activator of cellular processes) cyclic, opposite effect to that of adrenalin. Their ligands are cannabinoids. 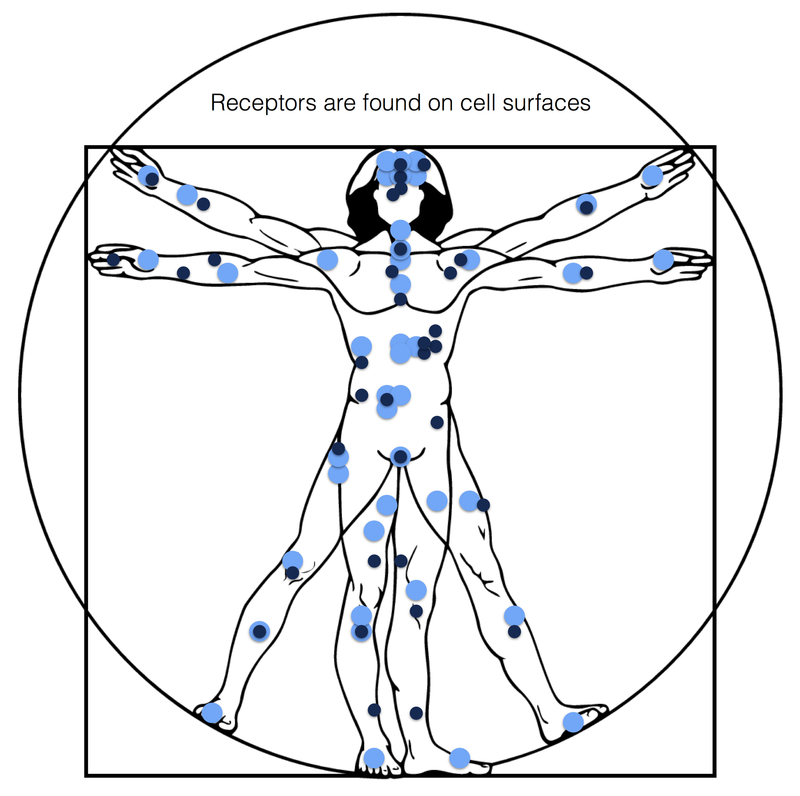 Currently two known types of cannabinoid receptors: the CB1 and CB2 receptor. 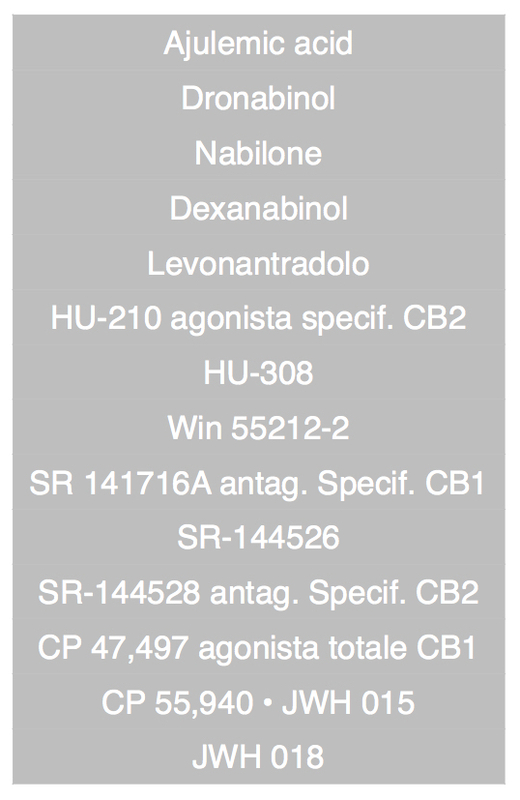 Stimulation of CB1 realizes the euphoric effects of cannabinoids but also their antiemetic action, antioxidant, hypotensive, immunosuppressive, anti- inflammatory, analgesic, antispasmodic and stimulating appetite. Cannabidiol (CBD) is a metabolite of Cannabis sativa. It has sedative, hypnotic, antiepileptic, antidistonici, antioxidants and anti-inflammatories. It turned out also able to reduce the intraocular pressure and is a promising atypical antipsychotic. Raphael Mechoulam of Medicinal Chemistry at the Hebrew University of Jerusalem in Israel. Is known for the isolation, structure elucidation and total synthesis of Δ9-tetrahydrocannabinol and for the isolation and the identification of the endogenous cannabinoids anandamide from the brain and 2-arachidonoyl glycerol (2-AG) from peripheral organs together with his students, postdocs and collaborators. Somach Sachs Prize for “best research by a scientist below 35 at the Weizmann Institute”, 1964. Distinguished Visiting Professorship, Ohio State University, Columbus, Ohio, 1982-1983. “Pharmacology, Biochemistry and Behavior” Nov. 1991 issue dedicated to R.Mechoulam. for achievements in the cannabinoid field. Kolthof Prize in Chemistry, 1994, The Technion, Haifa. Elected, Member Israel Academy of Sciences, 1994. Ulf von Euler Lecture in Physiology, Karolinska Institute. Stockholm, Sweden, 1994. Hanus Medal, 1998, by the Czech Chemical Society in recognition of contribution to cannabinoid chemistry. David R. Bloom Prize, 1998, for “excellence in pharmaceutical research”, Hebrew University. The International Cannabinoid Research Society (ICRS) R. Mechoulam named for the Annual Award in Cannabinoid Research, 1999. Israel Prize in Exact Sciences – chemistry, 2000. Ariens Award and Lecture. 2000. Dutch Pharmacological Society sponsored by Solvay Pharmaceuticals. Amsterdam. Doctor Honoris Causa, Ohio State University, Columbus, Ohio, 2001. Elected, Honorary Member, Israel Society of Physiology and Pharmacology, 2002. Heinrich Wieland Prize, to promote research on “lipids and related substances in the fields of Chemistry, Biochemistry, Physiology, and Clinical Medicine”, Munich, Germany, 2004. Henrietta Szold Prize for achievements in medical research, Tel-Aviv Municipality, June 2005. Doctor Honoris Causa, Complutense University, Madrid, 2006. ECNP (European College of Neuropsychopharmaclogy), Lifetime Achievement Award, Paris, 2006. ICRS (International Cannabinoid Research Society) Special Award For lifetime achievements in the cannabinoid field, Cologne, Germany, 2007. Israel Chemical Society Prize for excellence in research, Feb. 2009. Hebrew University, Medical Faculty Prize for excellence in research, June 2010. Eicosanoid Research Foundation Lifetime Achievement Award, Seattle, Washington, September, 2011. NIDA Discovery Award, NIH, Bethesda, September 2011. Rothschild Prize by Keren Hanadiv (The Rothschild Family Foundation), Jerusalem (in the Knesset) 2012. EMET Prize – to be presented by the Prime Minister in November, 2012. • Cannabinoids, produce pharmacologic effects, particularly in the central nervous system and the immune system. • Cannabinoids drugs treats cancer-related side effects. 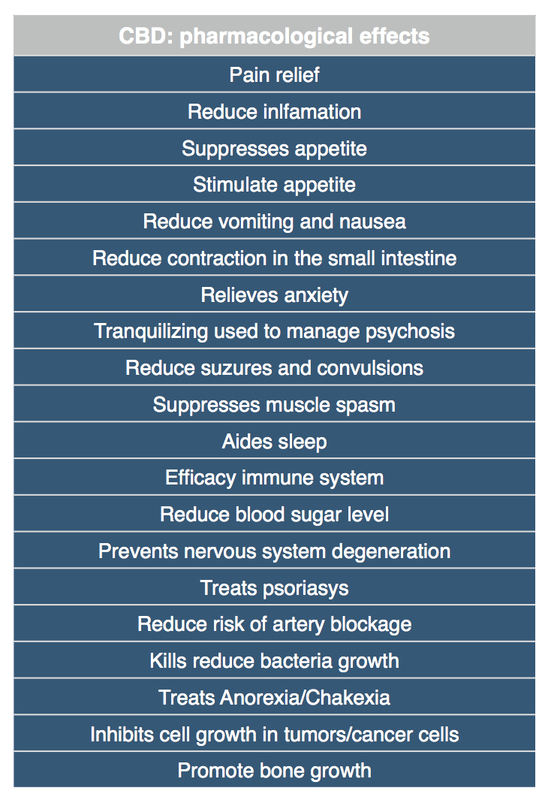 • Antiemetic effects, appetite stimulation, pain relief, and improved sleep. • Kill tumor cells but do not affect their non transformed counterparts and may even protect them from cell death. We sincerely hope, that this introduction in the endocannabinoid system was interesting and helpful for you.